Sono Bello Body Contour Centers of Bellevue, WA, offers today's leading body contouring and laser assisted liposuction procedures. Thanks to their staff of board certified physicians—who only use the latest techniques and equipment—plastic surgery patients can get the stunning shape they've always wanted. At Sono Bello's convenient Bellevue location, just East of the Seattle area, patients will receive exceptional service and treatment. Sono Bello doctors perform hundreds of laser liposuction procedures each year, including SmartLipo™ and LipoLite™. Laser-assisted liposuction treatments are performed through a simple outpatient procedure, using some of the most efficient tools to guarantee less bleeding and bruising. Most patients are left with no visible scars. Sono Bello not only offers the most advanced body contouring treatments, but also performs unique procedures on the neck, back, abdomen, hips, thighs and knees. So no matter what area of the body you're looking to improve, Sono Bello of Bellevue can help you get the look and shape you want. 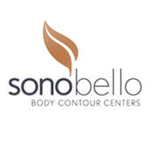 Find out more about Sono Bello Body Contour Centers in Bellevue, or schedule a free consultation by contacting us today. Sono Bello serves residents of Mercer Island, Kirkland, Renton, Redmond and more. Sono Bello - Seattle offers Complimentary Consultations. You can schedule up to three consultations with a Sono Bello expert and certified physician. At your free, no-obligation consultation, you will visit the Bellevue location to meet with the Sono Bello team. You will go over your desired treatment in detail, as well as discuss your personal aesthetic goals. The patient care consultant will offer you an accurate cost estimate and give you information on patient financing.